A more up-to-date analysis of MBA waitlist acceptance rate has been completed which include admissions data for the class of 2019. At this point in the year many applicants have been placed on the waitlist for the school of their dreams. It is a frustrating experience that I personally have experienced. 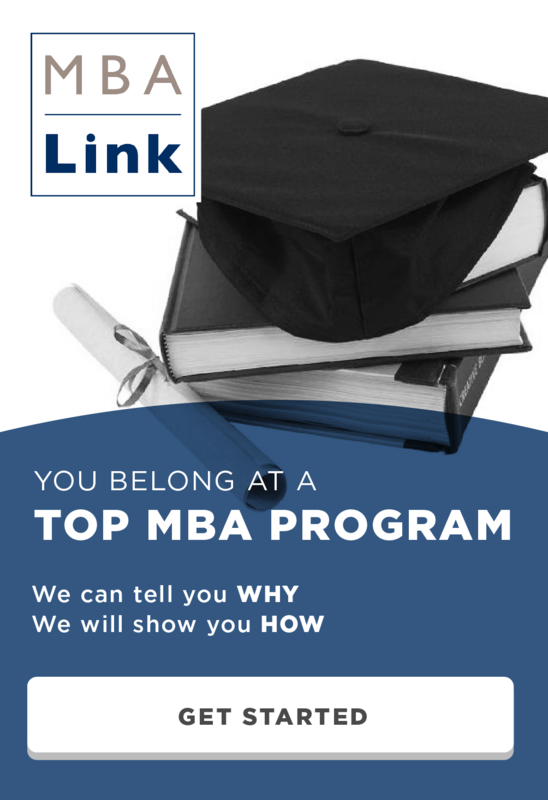 This articles shows the MBA waitlist acceptance rates for the top US MBA programs. The data for this analysis comes from GMATClub. These acceptance rates are meant to give a rough idea of the waitlist acceptance rate and should be taken with a grain of salt. The sample sizes vary by school; Olin, Emory and Stanford have the lowest sample sizes. MBA waitlist acceptance rates ranges widely from 46% to 2% depending on the school. It tends to vary quite a bit from year to year, so these acceptance rates should only be used as a guide. For example Dartmouth’s average waitlist acceptance rate is 10%, however for the class of 2016 it was only 2%. The top ten schools on average have a slightly lower waitlist acceptance rate coming in at 8% while the next ten schools average a noticeably higher acceptance rate of 14%. The schools with the highest MBA waitlist acceptance rates are Kenan-Flagler, Olin, and Anderson. At the other end are Harvard, NYU and Yale with the lowest waitlist acceptance rates. Although NYU has the highest interview acceptance rate, it rarely accepts anyone off the waitlist. This entry was posted in Admissions, Anderson, Booth, Columbia, Darden, Emory, Fuqua, Harvard, Johnson, Kellogg, Kenan-Flagler, MBA, McCombs, Olin, Ross, Sloan, Stanford, Stern, Tepper, Tuck, Waitlist, Wharton, Yale and tagged Admissions, Anderson, Columbia, Cornell, Darden, Duke, Emory, Harvard, Kellogg, MBA, McCombs, Olin, Ross, Sloan, Stanford, Stern, Tepper, Tuck, Waitlist, Wharton, Yale on March 26, 2015 by Data Guru. I was looking at the first chart and the first two schools that jump out as slight outliers are Booth and NYU. Booth seems to have a relatively high waitlist admit rate, whereas NYU seems to have a relatively low waitlist admit. I think I understand waitlist admission factors, but would I be correct in generally assuming that Booth admits a relatively high % off the waitlist due to a high number of Booth admits choosing not to matriculate, and vice versa for NYU? That could be the case, however I think it comes down to NYU is good at predicting the number of applicants that will accept. So NYU doesn’t end up needing to take as many applicants off the waitlist where as other schools don’t admit as many students right away because they are worried that the yield might jump up too high one year resulting in the class size that is too large. I believe you have to take this with a grain of salt. I know that Booth puts people on waitlist if they want to know more information about them. So, it’s not necessarily that candidates are turning them down. They probably just waitlist more people in round 1 to convert them in round 2 once they receive a fuller package from the candidates. I have to admit, of all the posts I have made, this is the data that I am least sure of. Everyone should take this analysis with a grain of salt. I don’t think people are as diligent about updating gmatclub after getting off the wait list as they are if they are accepted originally. Also, if they matriculate, it might mask the fact that they were ever on the wait list. I want to do a deeper analysis of this when I have the time. I wonder if this is at all a thing at bschools? The principle itself seems logical. That could be the case, I have no information that confirms or refutes that. I do know that sometimes a school will go after an overqualified student with a full scholarship. I was contacted by schools I never considered applying to who said that if I applied then I would probably get a full ride. It was tempting but I decided to stay focused on top school which would offer more long term value. Question. Is that 6% of Kellogg WL’ers total? So say 500 WL then 30 get in? Ive seen some other data saying it was closer to 25% of WL’ers get in. Perhaps 6%/22%(overall acceptance rate)=~27%?? The data from GMAT club suggests that only 6% of the waitlist is eventually accepted. It is possible that the number is way off due to waitlisters forgetting to update their status or the GMAT club population being skewed. That is why I wrote in the article to take these numbers with a grain of salt. If you have a link to the data that suggests the waitlist acceptance rate is 25%, I would love to see it. I greatly appreciate this site, overall! I know you wrote to take this data with a grain of salt, but in this case the GMAT Club data is likely so bad that it is probably more misleading than helpful. Waitlist acceptance rates of 2%, 3%, 4% just don’t make sense, especially at a school like Harvard that has a yield rate of ~90%. In 2012 Harvard b school stated a waitlist acceptance rate of somewhere from 14-28%. Still low, but in the range of retaining hope, whereas 2% makes the chances appear pretty close to zero. Agreed, the data the wait list data is terrible because most people don’t go and update it with the final outcome. I am actually working on a more manual process article for this. I am going through manually to look at post histories to see each person’s final outcome. Unfortunately this is EXTREMELY labor intensive. So I don’t expect to finish for another week or two. I know this is top of mind right now (and yes I am sorry for responding a year after you commented, it is probably not relevant to you anymore). My two cents: the acceptance rate for WL candidates must be higher than the general acceptance rate, or board would be better off finding good candidates by rejecting all WL candidates. Not sure why you believe that acceptance rates need to be higher than the general acceptance rate. The year I applied school, I believe Tuck had a 0% acceptance rate off the WL because a lot of people who were accepted initially accepted. Other years if their yield on matriculation is lower, they probably had a much higher WL acceptance rate. The purpose of the WL is to ensure that the school’s class is full if the yield is lower than expected. The schools owe nothing to people on the waitlist.